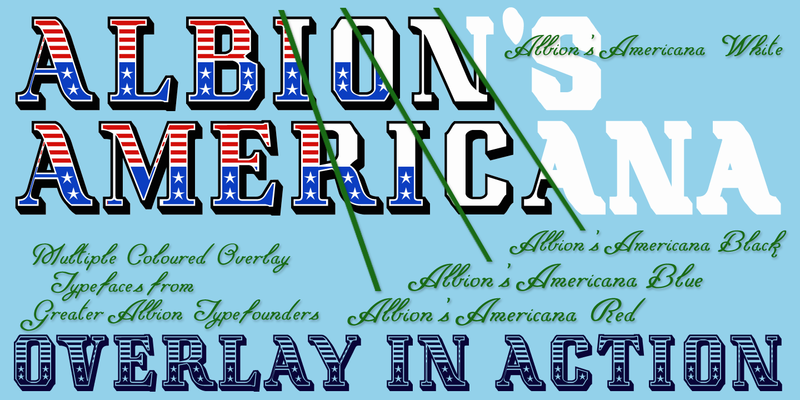 Albion’s Americana is now nearing readiness for release. It will be offered in a regular form and also as a combined set of four overlay fonts, intended for multi-coloured use. Here’s an illustrative diagram showing the four overlay faces in use together. You’ll note that they are named for colours Red, Blue, Black and White, though of course these are only suggestions, not obligatory! « Older Post Keep Calm at Christmas	» Newer Post Americana in Action….